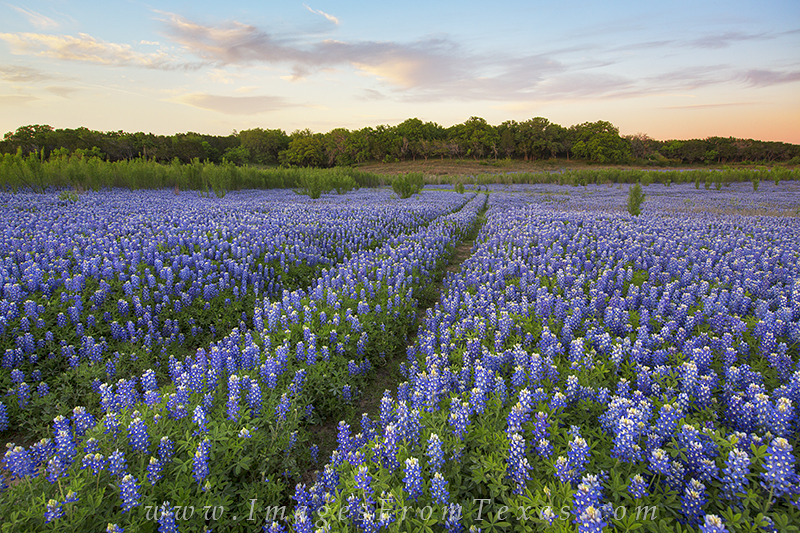 A narrow path of worn tracks cuts through a beautiful field of bluebonnets near Lake Travis on the edge of the Texas Hill Country. This little field of wildflowers was pristine, and I never saw another person this entire evening. Photo © copyright by Rob Greebon.